brackets .furnished; order from listing below. dark green, dark ecru (tan) or ivory. Shpg. wt ..... 1 lb. 9 oz. Length 7 ft .. .
... 38c•..... 33c .. .
.. .41 c...... 36c .. .
... 1 lb....•.. 1 lb... .
Use wood or metal rule for accuracy; tape stretches. Add 8 inches to the actual length measurement . jobs will be done in no time if this helper is handy. ping eggs . . . for fruit coverings and protection from insects. soft cloth. 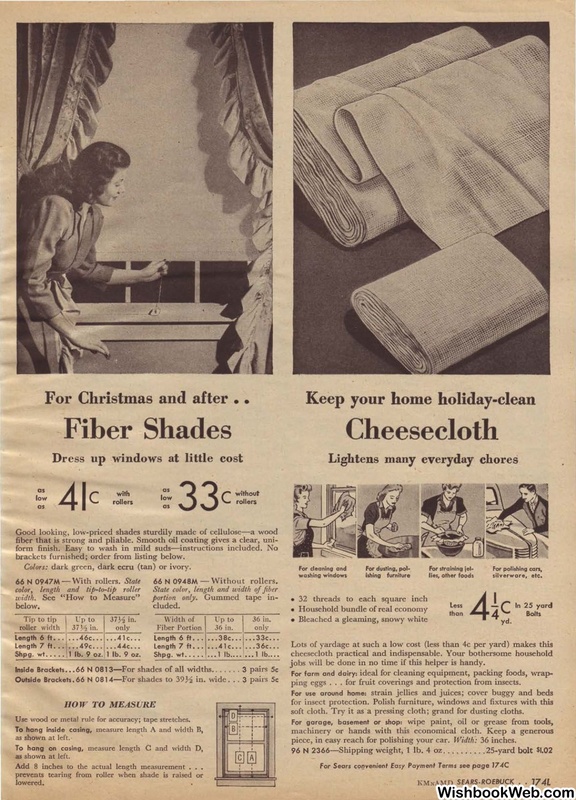 Try it as a pressing cloth; grand for dusting cloths. piece, in easy reach for polishing your car.